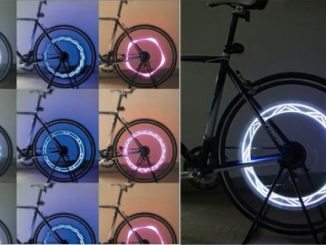 Several months ago GeekAlerts introduced you to the Bicygnals LED Bicycle Lights. Right from the get-go these made sense to me. As an avid biker, I know how difficult it is for drivers to see us at night and how important it is to do everything you can to be safe. Having a complete bicycle light package with integrated indicators fitted to the front rear of the bike is a smart idea, especially when those indicators are controlled by an ergonomically designed front light unit with thumb switches. Never again will you have to take your hands off the handle bars to give a hand signal; instead just click your left or right thumb and the Bicygnals Indicators will do the rest. 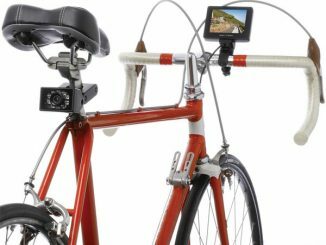 The wireless 2.4GHz connection between the front and rear units will instantly tell drivers that you intend to turn left or right when they see the bright front and rear blinking lights on your bicycle. I’ve tried many similar products and never really found anything that offered me convenience, safety and affordability in one neat package, until now. 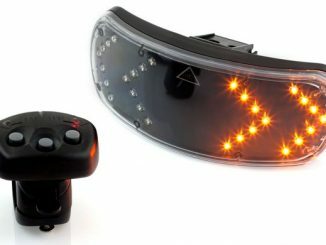 Just this past week, I received a set of the Bicycgnals LED Indicator lights for trial and review from Bicygnals.com. I must say, I was impressed. 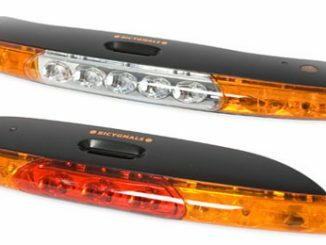 Bicygnals Indicators take safety to a whole new level with their detachable front and rear bicycle lights and integrated wireless indicators. It sounds like a lot of potential clutter, but quite to the contrary they have incorporated everything into a very smooth flowing design. The lights are composed of two units, front and back, and work in unison via the wireless 2.4GHz transmission. 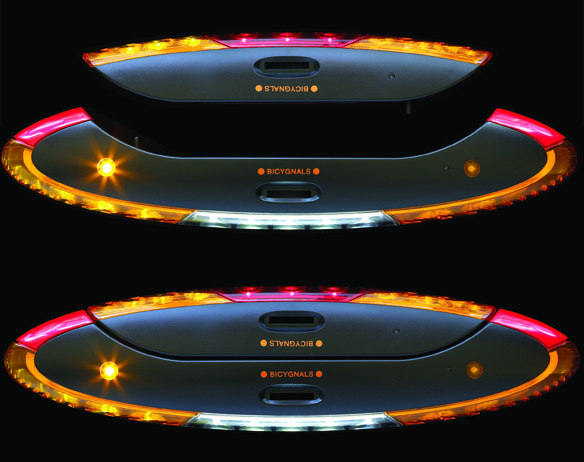 The back unit has a working tail light and two indicator signals for left or right turns. The front unit is what really helps to bring the Bicygnals Indicators together. 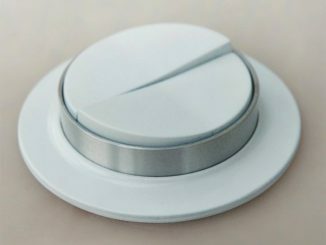 It has a bright headlight and two turning indicators along with thumb controlled buttons for indicating left or right hand turns. One simple click of your thumb, and the rest of the biking and driving world knows instantly what action you are about to take. After seeing the product, I couldn’t wait to set it up. Right out of the box, you can tell that quality and durability wasn’t sacrificed even though the Bicygnals offer an ingenious clip together design. 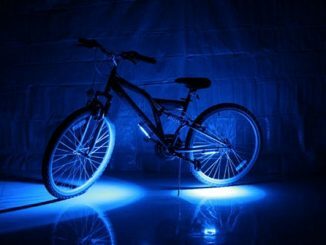 Made from durable plastic, these lights will probably fair better than you if you should happen to take a spill. The package includes everything you need to get up and running quickly (front and back indicator lights, batteries, carrying case, front & rear mounts, and hardware) and installation only took me a few minutes. With the wireless 2.4GHz connection between the front and rear indicators, you’ll never have to worry about messy wires getting tangled in your chain or spokes. The front and rear mounts include reflectors and have a one size fits all adjustment that makes it as simple as one, two, and three to put them on. Simply unscrew the hex-styled bolt, slide the bracket into the desired position, and tighten the bolt back down. I also noticed they have a nice rubber cushion on the areas that make contact with your bike to ensure a good grip and to avoid any scratches to your costly bicycle. Once the brackets are in place, all you need do is put the included batteries into the front and rear indicators, sync the front and rear indicators, and slide them onto the mounting brackets. They easily click into place and can quickly be removed in case you have to leave your bicycle somewhere a little risky. And if you are in that situation, just slide them off your bike, clip the front and rear indicators together, and store them in the included carry case. With 13 LED lights up front, 5 for the white headlight and 4 for each yellow directional, this bicycle light provides more than enough light for biking visibility and safety so drivers can easily see you. 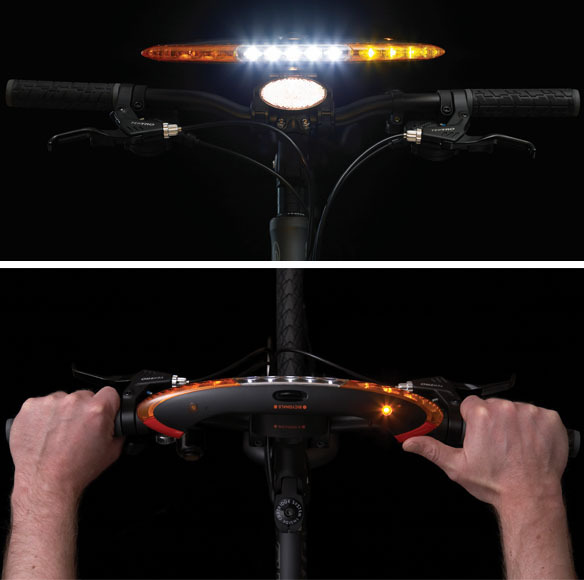 The rear light has a total of 9 bright LED lights and again is far brighter than traditional bike lights. With our practice runs on a dimly lit street, we had no problem with visibility riding the bike or noticing the bike coming down the street. During these test runs, we also got the impression that a lot of time and effort went into the design to make sure the overall fit and finish was something that everyone would be happy with. The front unit is just less than 13 inches across, which allows the thumb controlled indicator switches to accommodate riders small or large and it also fit nicely with different bike styles. Personally, I tried it on both my road bike and mountain bike and found that with both bikes, I could easily flick the thumb activated indicator switches without ever having to remove my hands from the handlebars. 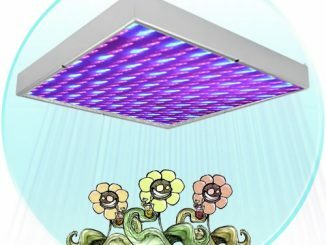 This is one feature that you will definitely appreciate and won’t find with other products on the market. 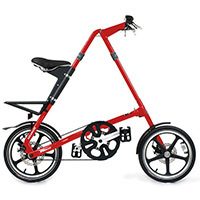 We found the easy to use design and functionality was a big part of the reason why we would recommend these Bicygnals to anyone that bikes in low light situations or at night. It will also make a great Christmas present this coming year for the biker in your family, hint hint. Do away with risky hand signals and keep both hands on the handle bars as you simply click your thumb on the left or right indicator switch to tell traffic which direction you plan on going. The rear indicators work in unison with the front ones via the wireless 2.4GHz connection so drivers both in front of you and behind you can quickly see you and know your next move. It is a lot safer and more noticeable since drivers tend to pick up flashing lights even if it is only in their peripheral field of vision. Overall, I really enjoyed using the Bicygnals LED Indicators and I plan keeping them on my bike. The fit and finish, build quality, and overall design concept, is something that will hold up over the years and will make biking safer and for both you and your loved ones. With the winter months closing in fast, day light hours are getting shorter and you don’t want to get caught in an unsafe situation. 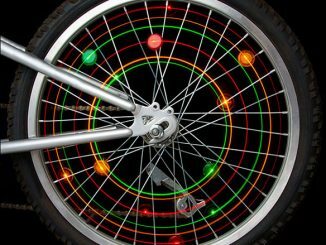 These Bicygnals Indicators would make a great gift for the avid biker in your family or a friend that enjoys taking a good ride. You can learn more at Bicygnals.com, where you can also purchase the complete kit which is on sale for a limited time at £37.56 + p&p. 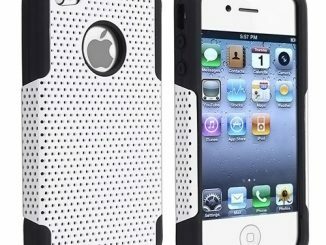 I generally agree with the review however I’ve found 3 key issues with the product. – the “sturdy” mounting is not sturdy. The convenient clip releases the unit on rough roads. I’ve lost it twice now. – right out of the box the signal I’ve had problems with the front unit communicating with the rear unit. I’ve tried to mount them as close as possible while keeping them visible. Its pretty intermittent when they work. Nick Thank you for posting your review. I was considering on if i should buy this item or not. Your review helped me from the headache.